Come lunchtime, you probably won’t find Dr. Paul Cobine at the Chick-fil-A inside the Auburn University Student Center. Maybe it’s the long lines. Maybe it’s his Australian palate. That doesn’t stop him from using the restaurant’s popularity as an analogy—he’s big on analogies—for his biochemical experiments into just how your body metabolizes copper, the same stuff that’s in batteries and the bracelet he wore as a kid in Brisbane that turned his wrist green, and that’s helping to produce the energy you’re using to read this right now. “If I went and sat outside the student center and I watched students walk out, I would say Chick-fil-A is the only restaurant that we have that serves chicken, and that’s like a genetic experiment because I’m just observing what happens,” says Cobine, an associate professor of biological sciences in Auburn University’s College of Sciences and Mathematics. “If I give a student some money and I say ‘can you go in and buy me Chick-fil-A,’ they’ll go in and buy Chick-fil-A and bring it back to me, and that's a biochemical experiment that confirms that Chick-fil-A is there. 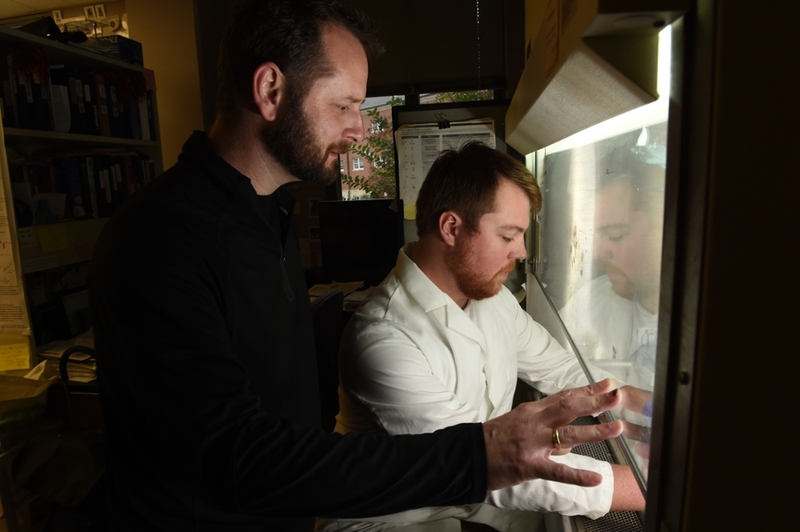 One of the most fundamental biochemical questions about copper’s role in human health, one that Cobine has been asking since coming to Auburn in 2008, is how the copper your body needs manages to cross the finicky inner membrane of a cell’s mitochondria. Last fall, Cobine finally found the answer. Cobine says that by treating the mitochondria of yeast cells (which behave almost identically to human cells) like the student center Chick-fil-A, he finally identified at least one of those unknown copper transporters. It’s a protein called SLC25A3, and, frankly, it owes him a debt of gratitude because it’s only been getting half the credit it deserves. Scientists have known that SLC25A3 smuggles phosphates into the mitochondria, but its newly discovered cargo is an equally important ingredient in the recipe for cytochrome c oxidase, an enzyme that allows your cells to share energy. Also, without copper, breathing is kind of pointless. We’re not just talking general fatigue or wiry hair. 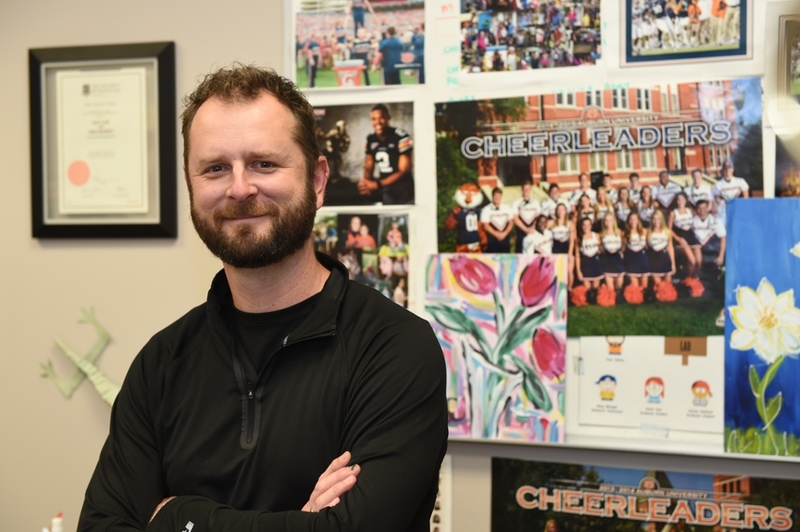 Dr. Paul Cobine has a $1 million grant from the National Institutes of Health to continue copper transport research in his Auburn University lab with the assistance of undergraduate and graduate students. His long-term goal is to discover life-saving, targeted drug treatments to change the body’s response to excessive or deficient amounts of copper. Cobine’s findings, which were published in the Feb. 9 issue of the Journal of Biological Chemistry, may even have implications for treating some forms of Amyotrophic Lateral Sclerosis (ALS), also known as Lou Gehrig's disease. He is, however, sponsored by the National Institute of Health (NIH). After 10 years of searching, Paul Cobine, associate professor of biological sciences in Auburn University’s College of Sciences and Mathematics, discovered how the copper your body needs for survival manages to cross the mitochondrial membrane, a discovery that could have treatment implications for heart disease, diabetes, Alzheimer's disease, Parkinson's disease, and even some forms of Amyotrophic Lateral Sclerosis (ALS), also known as Lou Gehrig's disease. Last summer, the NIH approved Cobine’s proposal for a four-year, $1 million R01 grant meant specifically to finance continued analysis into the human copper transporter in the mitochondria’s inner membrane, a project that aligns perfectly with the institute’s continued emphasis on translational “bench-to-bedside” medicine. In other words, to start saving lives. One of Cobine’s long-term research goals is to explore the possibility of tweaking SLC25A3 with a targeted drug treatment to render it more or less receptive to copper depending on a patient’s particular needs. Is the discovery’s translational potential enough to call it a breakthrough? Cobine says copper is especially abundant in shellfish, stuff like lobster, crab, even shrimp on the barbie. There’s also a good bit of copper in coffee. In chicken? Not so much.